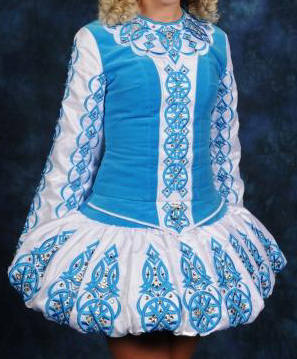 This lovely Siopa Rince puffball dress is made of turquoise velvet and white satin with shiny overlay. 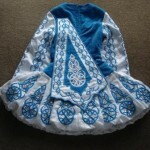 The lining is turquoise satin, as are the matching bloomers. 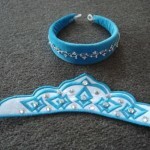 It is covered with Swarovski crystals. 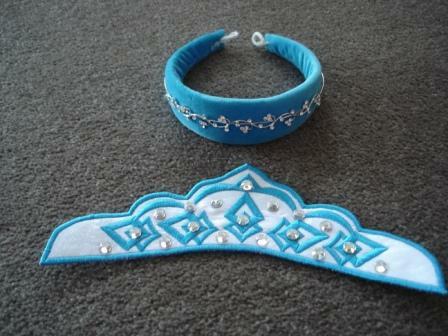 A matching headband and crown are included, as well as an extra piece of turquoise velvet and crystals. 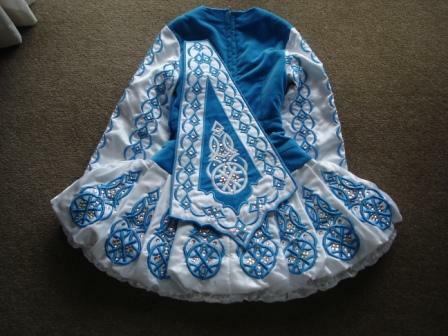 It is in excellent condition, and is gorgeous on stage. More pictures are available upon request. Asking Price: $US1,250.00. Shipping costs not included.